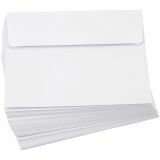 These smooth white, A2 size envelopes are perfect for invitations, greetings cards, notes, and more. Each envelope measures 4.375" x 5.75". 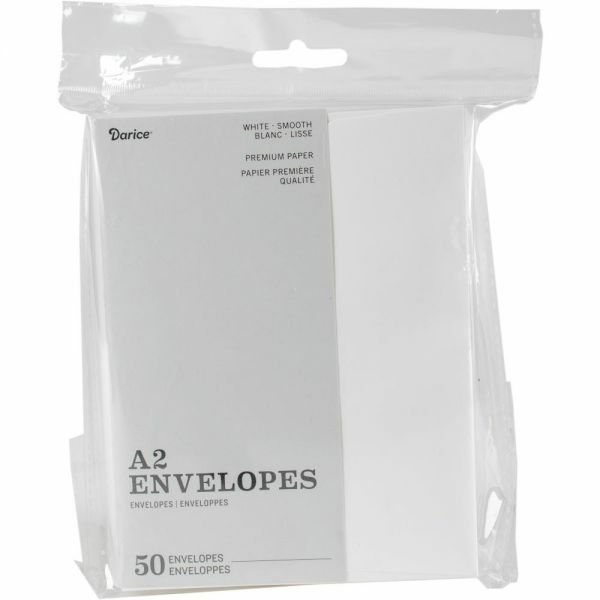 Heavyweight A2 Envelopes (4.375"X5.75") 50/Pkg - Darice-Heavyweight A2 Envelopes: White. Perfect for sending invitations, announcements, special notes and cards! 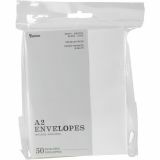 This package contains fifty 4-3/8x5-3/4 inch envelopes. Acid and lignin free. Imported.